This weeks episode of Around The Block In Annapolis highlights Naptown Sings and Plays, a local business whose primary goal is to make music fun and inspiring for people of all ages, abilities and financial situations. If you or your children love movies like Pitched Perfect or shows like Glee, this might be the spot for you! Be sure to check out the episode and interview below to learn more about Sophia’s pop music kids glee clubs! What is your favorite part about what you do here at Naptown Sings and Plays? My favorite part is coming home at the end of the day, and realize I got to dance, I got to laugh, I got to smile. I got to make kids dance, laugh, and smile, and I helped them to learn something inside themselves. It’s a pretty nice feeling. You know, I’m 28 weeks pregnant, and sometimes I’m sore and hobbling when I come home, but it doesn’t matter because I’m always happy. There’s always good things, and inspiring things that are happening here at the studio. How did you get started with Naptown Sings and Plays? I am utterly obsessed with music. So I guess I always knew that, in some way, I would be doing music. A friend of mine asked me to start teaching voice lessons at his music school. So I started there at the Jeremy Ragsdale Voice Studio. I had this crazy idea for a pop music kids glee club, that really didn’t have more than two to four members for an entire year. And then the next year there were 12. Three months later there were 24, and before I knew it, I had this full blown program of kids glee clubs and voice lessons. At which point my friend said, “Hey, you’re taking “up all the space in my music school, can you find your own space?” I rented a little room right down the street from where we are currently, and that’s when Naptown Sings and Plays was born, three years ago. How do children and adults benefit from music education? You see a lot of kids just gain confidence through music. Not every single kid is a rock star, and not every single kid is going to be the next Ariana Grande, and we do have students in the studio that are on that track. But just watching a student go from being completely shy to completely outgoing in a three month session, is probably one of the best things that you see. Just to have that confidence when they get up on stage, knowing that they can actually do something, and accomplish something. It’s pretty great. 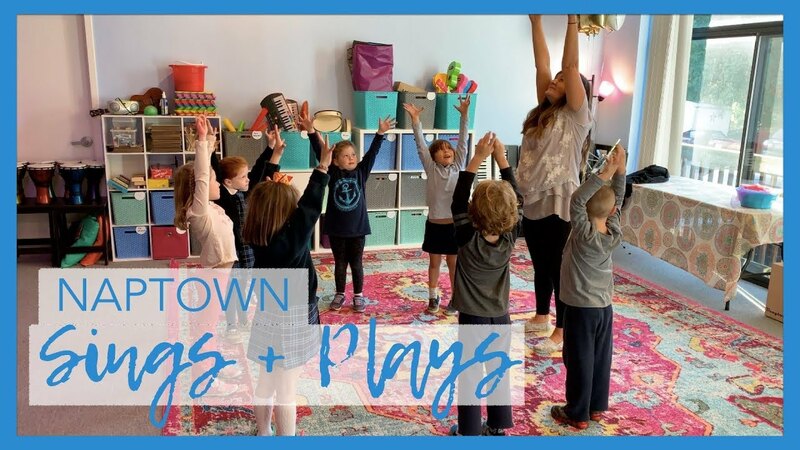 What types of classes and services do you offer at Naptown Sings and Plays? So, we offer classes for students of all ages. Literally we have baby music classes. It’s basically a full music immersion parent and me class. 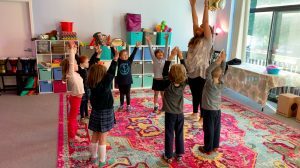 We offer classes for preschoolers as well, which gets them ready for private lessons. 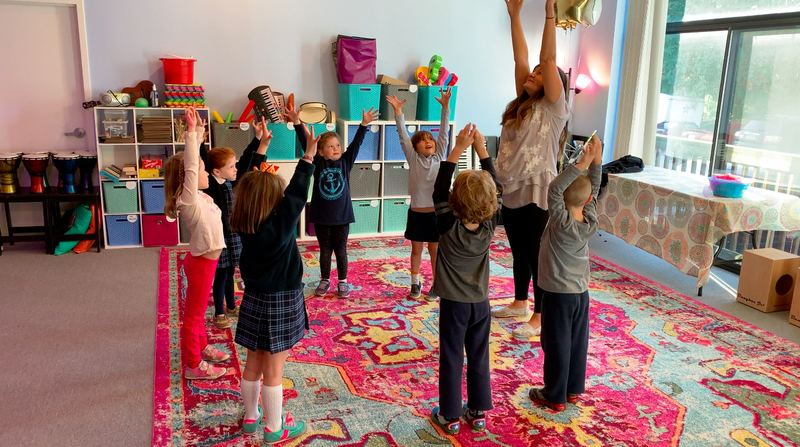 And then even though we have these really popular pop music singing groups for students who start at age four and go all the way up through high school, we also offer private lessons at the studio in various instruments. 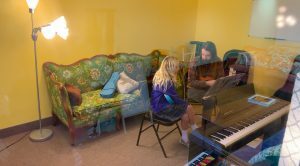 So students can learn how to play the ukulele, the guitar, the piano. They can take voice lessons. It’s more than just singing now. It started as Naptown Sings, but now we’re Naptown Sings and Plays because we offer basically full services of music education from birth all the way up through adulthood because adults can take lessons here too. How is Naptown Sings and Plays different from other music education programs? I think that the best way to learn and be inspired is to continually want to come to lessons, to want to really appreciate what they are doing, and to want to continue to learn. And the best way to do that is to cater to the interests of the student, and so far it’s working because we have kids that start as little tiny ones, and continue through our programs for years. We hope you’ve enjoyed this weeks episode of Around the Block in Annapolis! Be sure to check out our other episodes of Around The Block.